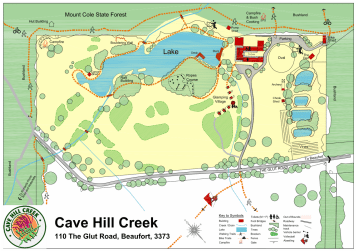 Cave Hill Creek has great facilities that cater to both indoor and outdoor weather conditions. large widescreen and surround sound. Large outdoor pavilion with open fireplace & picnic tables. Pavilion suitable for all weather with clear bistro blinds. Please refer to our Activities page for a full list of activities for your school camp or group.